What is it? How does it work? Why are we using it? How will it help? These are questions that we hope to answer on this page. To begin with, G Suite for Education is similar to the Google account you may use personally. If you have a Gmail address then you may be familiar with some of the tools on offer but there are some you will not have seen and some major differences between G Suite for Education and the normal personal Google Account. What makes G Suite different from other platforms you may have used is it’s simplicity as well as its ability to easily (and we mean easily) share work to pupils on any device and receive completed work back. Pupils can access work and resources from home and Teachers can work together on planning documents. You have unlimited storage for files, photos, videos and anything else you want to store. Calendars can be shared for easy access on any device and you can even create your own class web pages and blogs with no experience of web design or blog creation. Also, these tools are available on almost any device with an internet connection. From PCs, Macs, Chromebooks, iPads, Android tablets and smartphones, you are giving pupils and teachers the opportunity to access these resources from anywhere, regardless of which device they choose. Each section in this document is dedicated to a specific App or Tool and at the top of each page is the link to the web based version of the tool in question as well as the iOS and Android Apps if applicable. This is just the beginning and we hope you see the benefits of this platform and get value from it. If at any point you have any questions, feel free to get in touch. We’re starting with Google Drive as this is the one place that most of the Google Tools come back to. Drive is the central location to store all of your Documents, photos, forms, presentations and even websites. But we’ll get to those later. So why use Google Drive instead of things like USB pens, Network drives or your laptop hard drive? The main reason is that Drive follows you wherever you go. It’s accessible on your smartphone, your laptop, your iPads, and any device with an internet connection. That means if you make a document and store it on Drive, you know that when you get home it’s available to you. If you want to update it, you can do it from almost any device and you don’t have to worry about not having the most up to date copy to hand. With unlimited storage and 99.9% uptime you don’t need to worry about running out of space, not having access to your data or losing your USB pen with all of your work stored on it. It’s also a great place to share resources. If you have a folder full of information that you want to share to another Teacher just hit the share button and enter the Teacher’s email address to give them view or edit rights to that folder. Your school will have a policy for storing any data that might be considered confidential or sensitive and this data may need to be stored on the school network drive or on the office PC. This could include pupil names and addresses or medical data. Google Drive is not the place to put this kind of information. Drive is designed for your planning documents, lesson resources, pupil work and day to day documents you need as a teacher. If you’re ever in doubt, check your school's Data Protection Policy. Google’s answer to Microsoft Office is collectively referred to as Google Docs. There are actually 3 apps called Docs (Word), Sheets (Excel) and Slides (Powerpoint). Each is very similar in it’s layout and that’s why we haven’t included a separate page for each one. If you’re familiar with Microsoft Office or other office suites, Google Docs should be easy for you to navigate as it uses a lot of the same icons and layouts you will be used to.  All documents you create are automatically saved in Google Drive. One of the things that sets Google Docs apart from any other office suite is the collaboration feature. Simply share your document with any number of collaborators using the blue Share Button and work together on the same document in real time. Collaborators initials will be shown at the top of the page and their cursor will correspond with the colour of their icon. You can then see exactly what they type as they type it and you can even leave comments on their work if you don’t want to directly change it. Picture this scenario. You start a planning document and email it to your teaching assistant or another teacher to look at and add to. Once they make the changes, they email their version back. There are now 2 copies of the document and if you made any changes in the meantime there could be 3. You want to make sure that all of your work and all of your colleagues work are included on the document so you have to manually double check nothing is missing. If either of you add anything new you have to recheck everything again. If you’re working on the same Google Doc there is no need to worry that anything could be missed or versions will be out of date. You are always working on the same exact document and any changes each of you make are instantly visible to the other person. You could then do away with printing by also sharing the document with the Head and saving both space and paper. Google Forms allows you to create questionnaires, quizzes and forms for people to complete. From quizzes with a couple of multiple choice answers to complicated exam practices or even a feedback form for parents to complete, if you need questions answered Forms is the way to go. They can be easily shared via Classroom, email or links in a Google Doc. You don’t need a Google account to answer the questions so parents could fill them out without having to sign in to anything. You may want to give the pupils a quick 10 minute quiz to gauge their understanding of a topic. Forms allows you to very quickly create a form and include any resources you want them to see like images, diagrams or videos. Pupils can then answer the questions and submit the form. As a Teacher you can see all the results as a summary to easily see where gaps in knowledge may be or individually look at each pupils responses to give more personalised feedback. All of the data is also available in Google Sheets meaning you could create graphs and track the data if you want a more in depth way of mapping their understanding. When setting a form you can ask for answers as either Multiple Choice, Short or Long Paragraphs, sliding scales as well as dropdowns and grids. All options are simple to setup and you can be up and running in a few minutes. You can personalise the colour and style of your form as well as including instructions and links to more information. The really adventurous could even make multiple forms that lead to each other enabling pupils to answer specific questions based on previous answers. Some schools have even written a ‘create your own adventure’ story by linking multiple forms together.  By far our favourite app out of all the G Suite tools is Classroom. This is where you can make an online class and get your pupils to join. You can then handout work, help pupils who are stuck and receive their completed work all from one place. Let’s explore some of the main features. Announcements: These are simple posts, usually text based and an easy way to give information to pupils without necessarily expecting anything back. If you want you can include a link to a website or any content you have stored on Drive and you can also allow pupils to comment on the post if you want. Questions: As the name suggests, questions allow you to quickly ask the class to answer a single question, either multiple choice or with a text response. You can include resources to help them answer the question if you want or simply type in your question and wait for the responses. This can be a great way to quickly gauge understanding or get an opinion on a specific topic. Assignments: Here is the real stand-out feature. Assignments allow you to ask the pupils to complete a piece of work. Anything from a Google Doc to a video or presentation, it’s up to you (or the pupils). Include anything you want from Google Drive to help, either a document you created or a link to a website with useful information or even a YouTube video. You can also set a deadline for the work to be completed. Once the pupils have completed their piece of work they simply hand it in and you get a notification telling you who has submitted work and a breakdown of how many pupils in your class have finished and how many are still working. If anyone is stuck they can submit a private comment that only they and the Teacher can see meaning you can help anyone who’s stuck any time of the day. Organise your days with Google Calendar. How many times have I been into schools and appointments or meetings are written down on pieces of paper and then transferred to bigger handwritten calendars in staff rooms etc? The answer, too many. An individual Teacher calendar for all your own appointments, deadlines courses and meetings. This can be private to you. A calendar that is shared by the Head or school Secretary that has all of the important entries like term dates, parents’ evenings, after school events etc. This is only editable by a few people to avoid accidentally deleting important events. Another calendar that is shared by one Teacher to all members of staff but that each teacher can edit. Here you can add events that you may be attending where it could be useful for other people to know where you are or that you’re not available. You could also use it to book resources like an IT suite. Everyone can see this calendar and everyone can update it. Finally Google Classroom will automatically create a separate calendar for you for all of your assignment due dates. If all of this sounds hard to manage, don’t panic. When you open the Calendar App all of these events will be displayed in one place with different colours depending on the calendar the event belongs to. Each calendar can be temporarily hidden by simply unticking it from the list. Never miss appointments again and save time and paper by embracing an online calendar that everyone can access. Chrome is Google’s web browser. It can be downloaded to your PC, Mac, iOS or Android device and is included as standard on a Chromebook. You may be familiar with Chrome already as it’s the most popular internet browser worldwide. When combined with a G Suite for Education account it can do some really great things. When a user signs in to Chrome, any bookmarks they save and any tabs that are open can follow them across all their devices. If they save a webpage they are using in school, they can go home and keep reading it there or from the Chrome browser on their smartphone. Chrome also has the ability to install Extensions. While this may sound daunting at first it’s really quite simple. In the same way that you can install Apps on your phone to give it extra functionality, you can use extensions to do the same for Chrome. If you want to be able to save a whole webpage as a PDF to Google Drive? There’s an extension for that. Want quick visibility of your Calendar from within your web browser? There’s an extension for that too. With thousands to choose from there is bound to be a few that will make your web browsing experience easier. While it’s not as much of a ‘game changer’ as Classroom or Docs, Chrome does have it’s advantages over other browsers by allowing Teachers and pupils to have their bookmarks follow them across any device. As a Teacher Google’s Gmail app gives you access to all of your emails from any device. Email multiple people at one using groups like 'teachers@yourschool.co.uk' to email all teaching staff or 'year6@yourschool.co.uk' to email all of year 6. It’s accessible as an app on nearly any device as well as being available on any web browser so there’s no need to worry about device compatibility. Pupils can be taught how to communicate safely online through lessons in class and it’s possible to set restrictions on who they can email and even set a list of banned words that they can’t use. We would recommend allowing Teachers to access Gmail from the start but for pupils it’s possible to disable access to it entirely until you have discussed internet safety and are happy for them to use it. Everyone has the ability to make a website using Google Sites. If you want to make a class website to showcase all of the work pupils have done it’s easy to drag and drop the content onto your page and see it published for everyone to see. You may have gone on a school trip and want an easy way to share photos or maybe you just want all of your school info in one place. It’s super simple and really quick to do even for people with no experience of web design or building. As a Teacher you could make a website with all of your resources for a specific topic so that pupils can easily access it at home or at school. This ‘flips’ the classroom so that pupils can watch videos or read content that is relevant to their school work at home to further their understanding. It can also be a place for pupils that missed school to catch up. It can also stop pupils getting sidetracked looking for resources online where the amount of available information can sometimes be quite daunting. Choose from loads of ready made themes depending on the content of your site and customise them to fit your style. Google even build in a ‘readbility’ feature that means fonts and images adjust themselves automatically to make sure they can be seen clearly. You can also preview how your page will look on a phone or tablet screen meaning it will look good on any device. Easily include calendars, images, videos or any file you have stored on Google Drive by simple selecting the appropriate option from a list onscreen. Position it where you want with a handy grid system that makes sure everything lines up and then press Publish when you’re ready to share it. As with most of Google’s other apps you can limit who has access to your page to keep it secure and make sure the right information is shared with the right people.